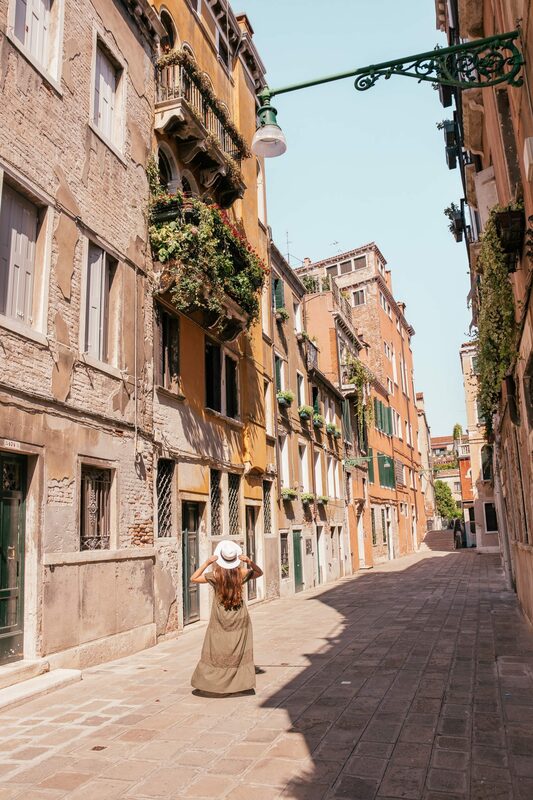 Venice is an absolute paradise for photographers and Instagrammers, with jaw dropping photography locations at every street corner. But given it is also one of the most touristy cities in the world, avoiding the crowds in your shots can be a real challenge especially if you are visiting in the summertime like we did. 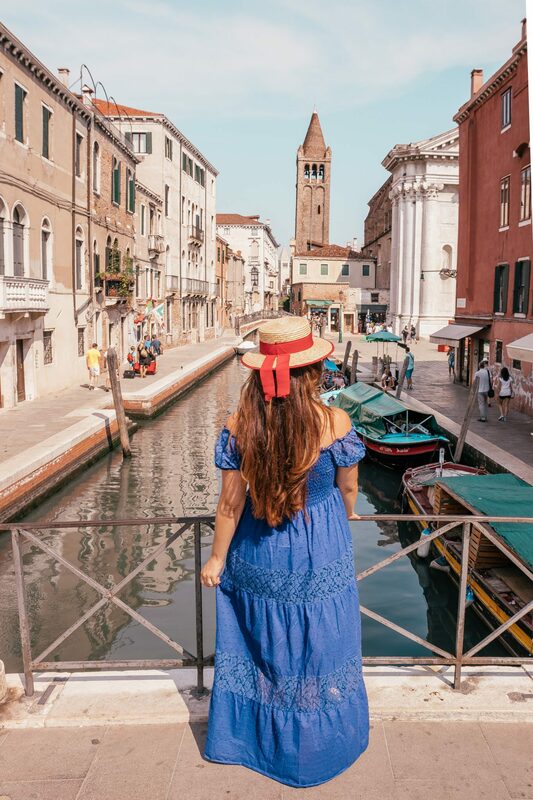 While you will for sure want to get the popular shots from San Marco, don’t underestimate the beauty of Venice’s other neighborhoods, like Cannaregio and Dorsoduro: they are full of picturesque streets, tiny canals and empty bridges! 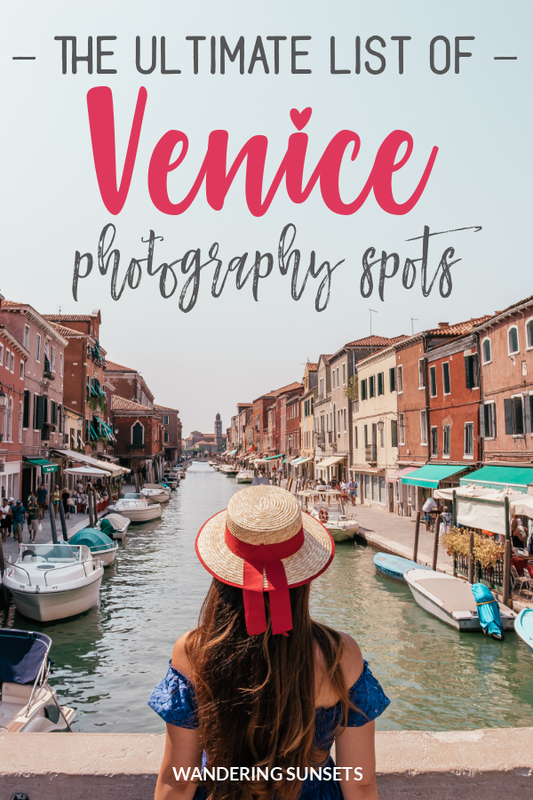 Here is my list of the most instagrammable places in Venice, along with tips on where to find these beautiful Venice photo spots. 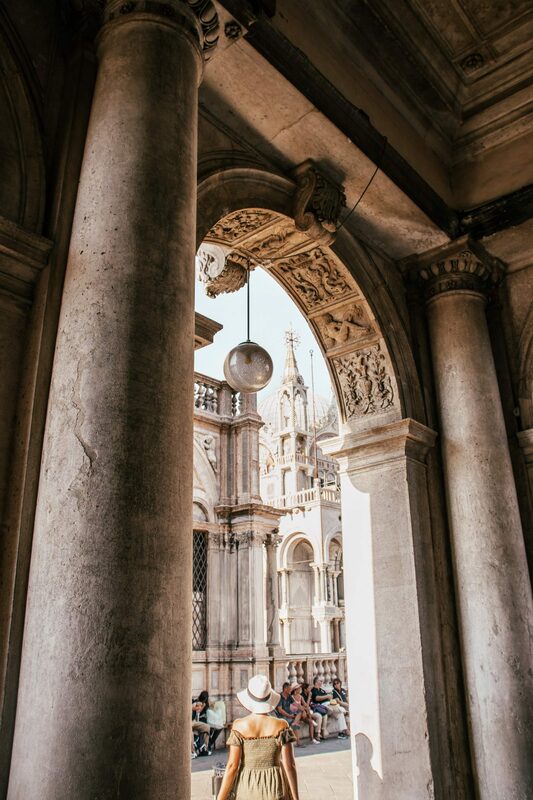 St Mark’s Square is probably the most visited photo spot in Venice. However, it is still totally possible to take some gorgeous shots and have the piazza almost entirely to yourself. Get up right around sunrise and head there for 7am. This should give you about an hour and a half to explore this area before the cruise ships dock and people start flocking the square. At this hour, you will mostly encounter pigeons and a handful of other photographers. 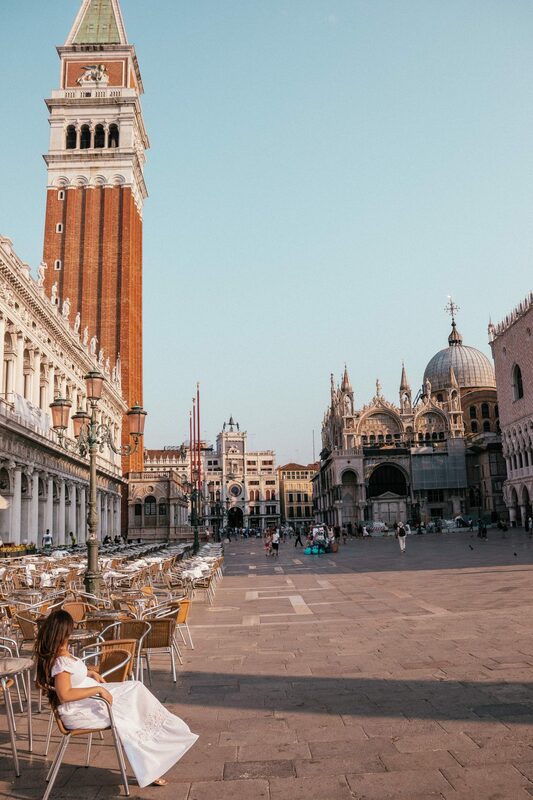 Keep in mind that while the piazza is incredibly peaceful early morning, the sun may rise behind St Mark’s Basilica. Depending on when you are visiting, the front of basilica could be in the shade. We ended up coming back late in the afternoon after the boats had departed to get a few more pictures. The Bridge of Sighs is also best photographed very early morning so you should head straight there from St Mark’s Square (they are pretty much in the same location). The bridge you walk on to get a good shot of the Bridge of Sighs will get incredibly crowded after 9 am. It will become virtually impossible to get a great shot without people walking in your way. 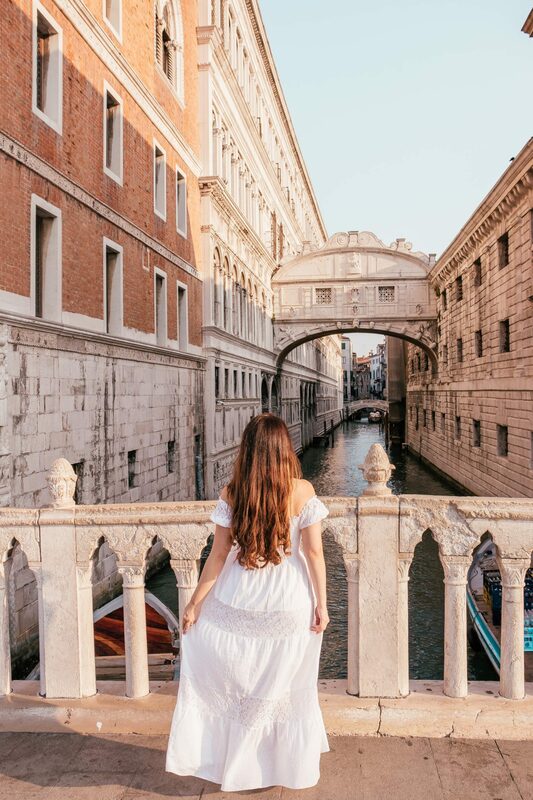 Ponte dei Suspiri is undeniably one of the most Instagrammable places in Venice. Trust me, it’s worth missing a few hours of sleep for this shot. 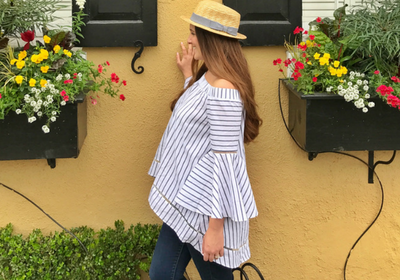 This spot was made famous by the amazing Leonie Hanne from Ohhcouture. 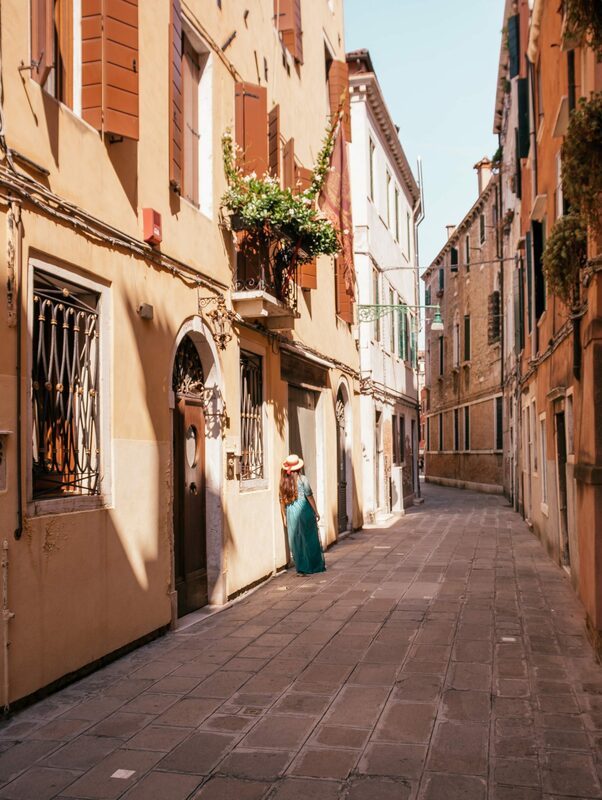 It’s probably become of the most Instagrammable spots in Venice, but it’s not particularly easy to find if you don’t have directions. When you see the sign for the hotel from the shopping street, make a left and walk all the way to end. On your right you will see the canal and the now famous dock. 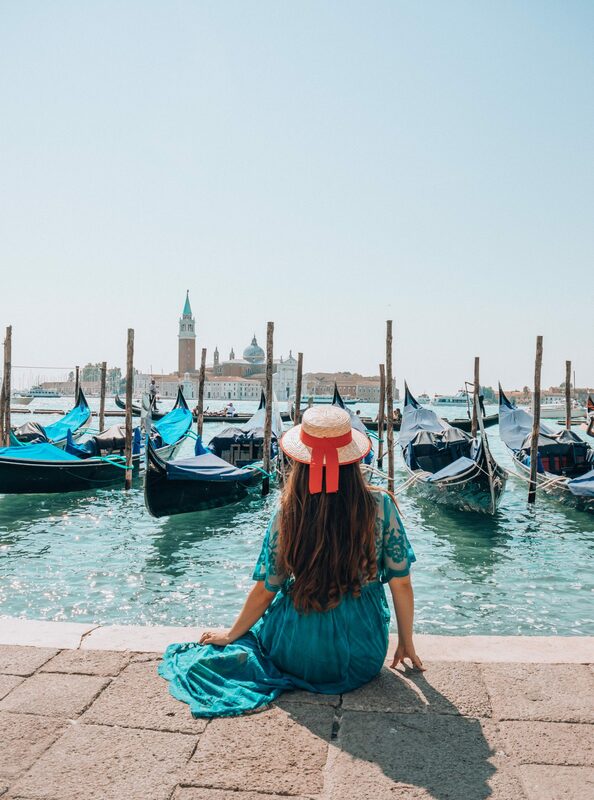 It’s truly the perfect Instagram spot because there are a lot of gondolas passing by so it’s easy to capture one in your picture. 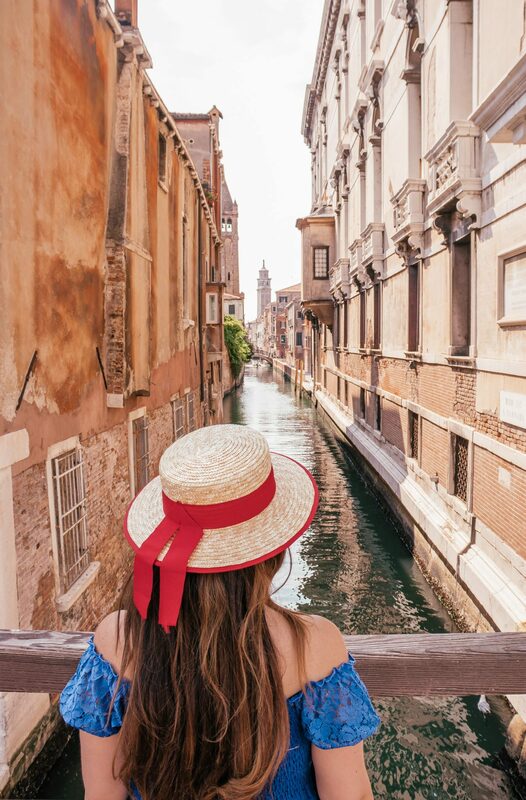 Riva Degli Schiavoni is Venice’s most famous waterfront, located right behind St. Mark’s Square. 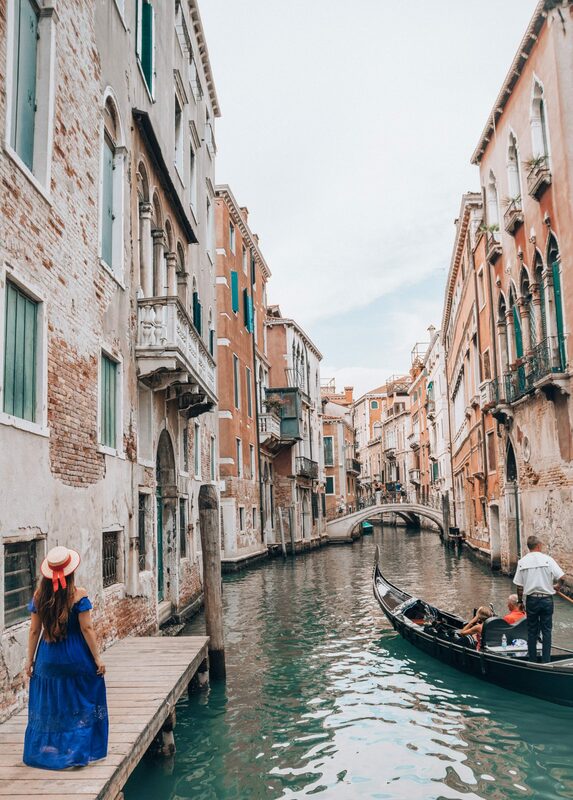 There are always hundreds of gondolas swaying by the dock, which makes for the most romantic background. Come early morning for a peaceful scene, or late at night for the most romantic moonlight walk. 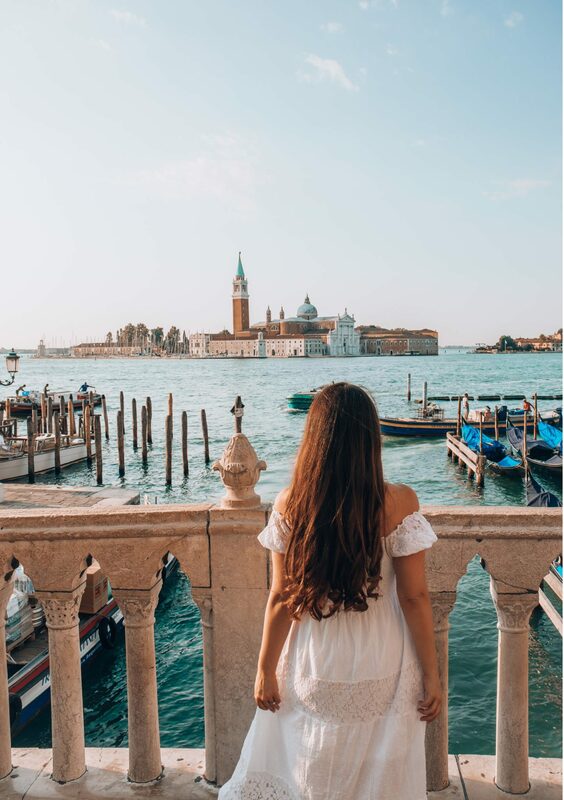 From this spot, you can capture a perfect view of the Church of San Giorgio Maggiore in the distance. 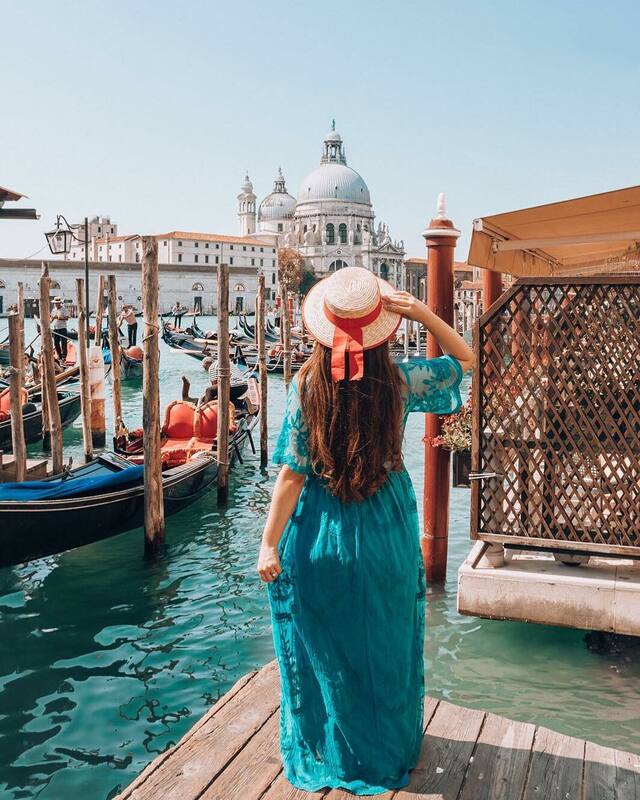 This is definitely one of the most Instagrammable places in Venice. The Palace can be quite challenging to photograph from the outside because of the long line of people in front of the entrance. However, the inside is full of amazing Instagram photo spots. There is a maximum number of people allowed inside at all times so it never gets incredibly crowded. The courtyard had some fabulous views of the side of the Basilica. Inside, many windows also had great photo opportunities from every side. The Rialto Bridge is probably tone of the busiest spot in all of Venice. If you’re hoping for an Instagram photo in front of an empty bridge, you pretty much have to show up at dawn. 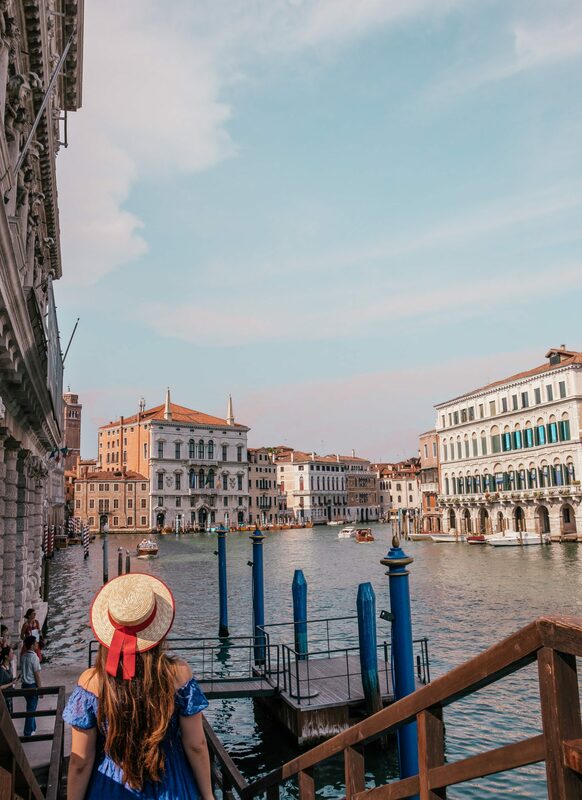 Nevertheless, Rialto is one of the most Instagrammable places in Venice and a must have shot, Don’t be afraid to get creative. I think the best way to capture Rialto Bridge is from a gondola as you approach it (it will distract from all the people on the bridge). 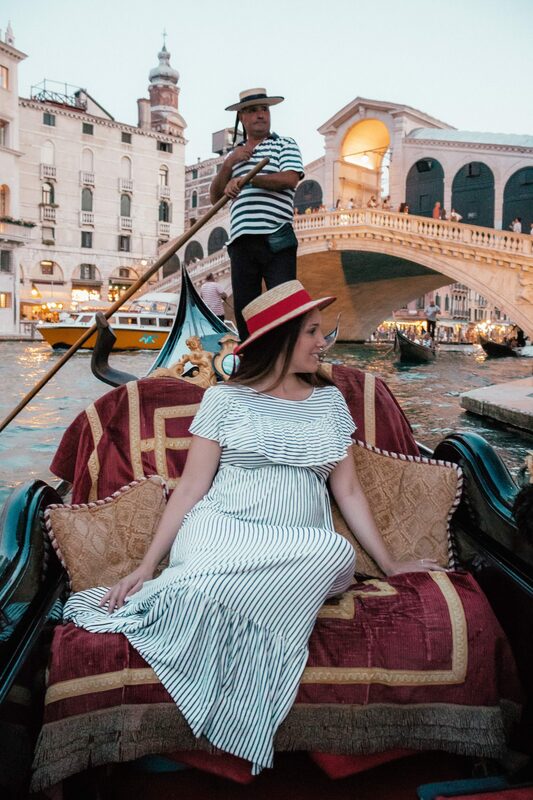 Grab a gondola nearby and ask your gondolier to go under the Rialto on Grand Canale. We didn’t quite get the shot we were hoping for…. We waited a very long time in line to get our gondola and the sun had already set by the time we got on, but you get the idea! This is a really iconic Venice view but surprisingly it is quite hard to find a great spot to take an Instagram picture in front of it. Grand Canale is lined with hotels and restaurants and most pictures you see of this view are actually taken from vaporettos. We stumbled upon this secret corner when we purchased our passes from the ferry terminal San Marco (Vallaresso) SX. 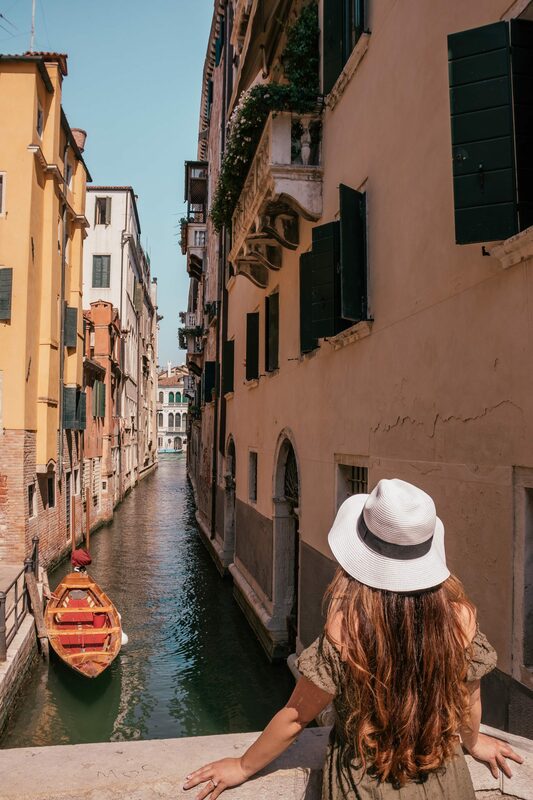 This little corner has an unobstructed view of the Basilica di Santa Maria della Salute and is right by a gondola rental service so you will capture a myriad of swaying gondolas in the forefront. Address: Ferry terminal San Marco (Vallaresso) SX, 30100 Venice, Metropolitan City of Venice, Italy. No one should leave Venice without a good picture from Grand Canal. No need to wake up early for this one! Wait for gondolas to start gliding along the canal for a more picturesque view. 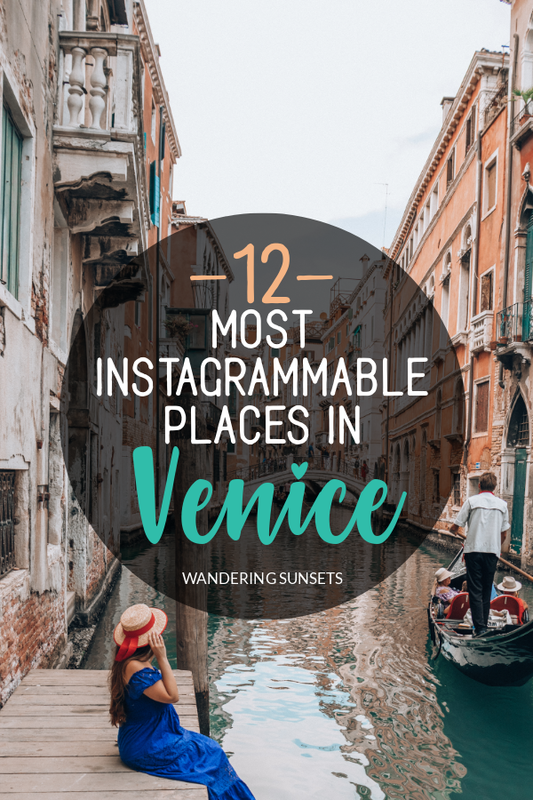 If you are looking for the most Instagrammable places in Venice, you need to put away your map and get lost. That’s right, start wandering without clear directions and get lost in the city’s random streets and tiny alleys. 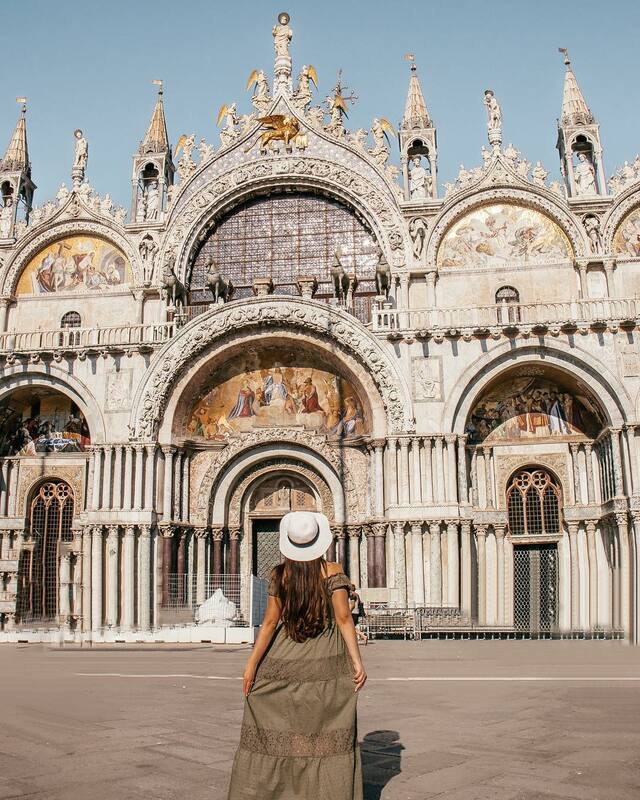 You will stumble upon the most incredible Instagram photo spots at every corner. Play with the sunlight and the shadows, and don’t forget to look up to capture the beautiful lamps and balconies full of flowers. 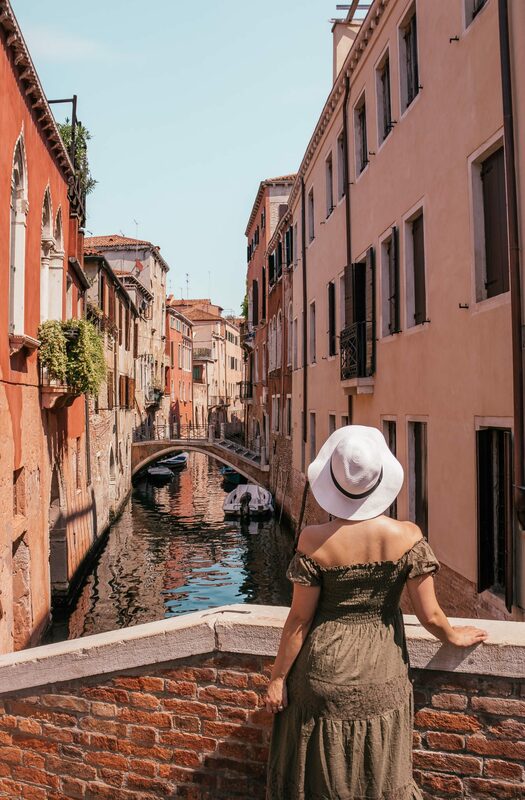 Venice has hundreds of small canals and bridges. Again, it is best to wander until your find a gem! It won’d be hard and you will pull out your camera at every corner. Get creative with your angles! Ask your photographer to stand on a bridge while you sit on the edge of the canal. Wait for a gondola to pass by so you can capture it in the background. 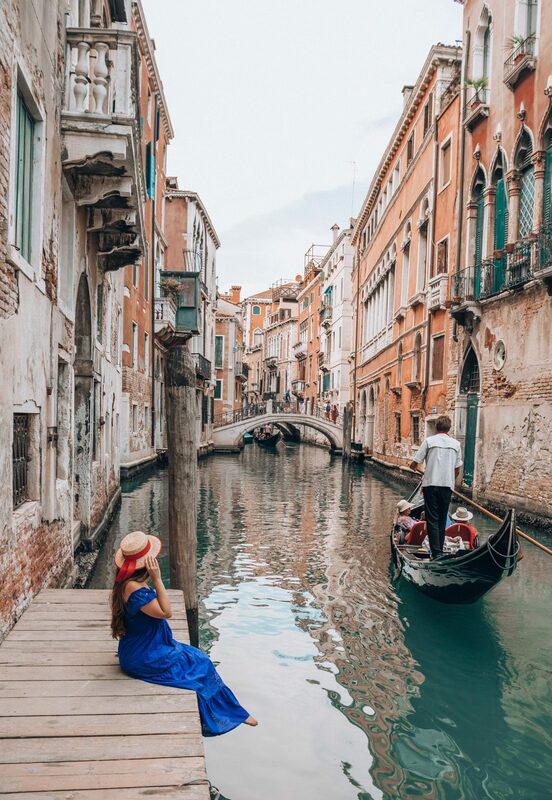 The ideas for creative Instagram photos in Venice are endless. Burano is a small but incredibly colorful island outside of Venice proper. The canals on the island are lined with gorgeous bright colored houses. 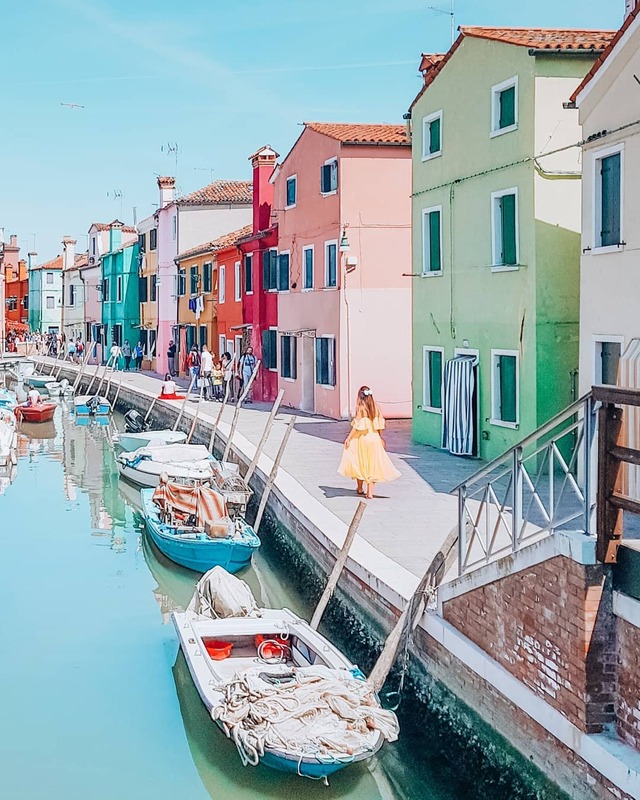 Burano deserves a spot among the most Instagrammable places in Venice. 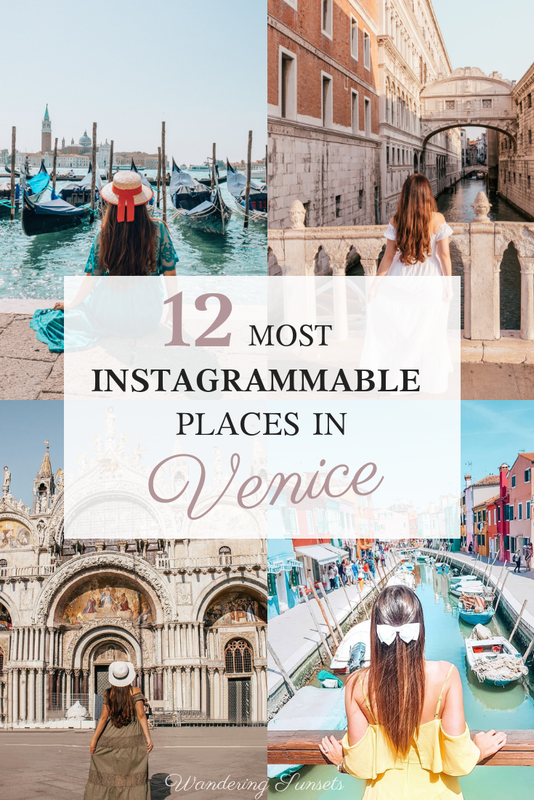 That said, it is low on our list because it is quite painful to get to.It is only accessible by ferry from Venice with a stop in Murano, or private boat tour. Unfortunately, we didnt’ get to go: the line to catch the second ferry from Murano was over two hours long in the hot sun. 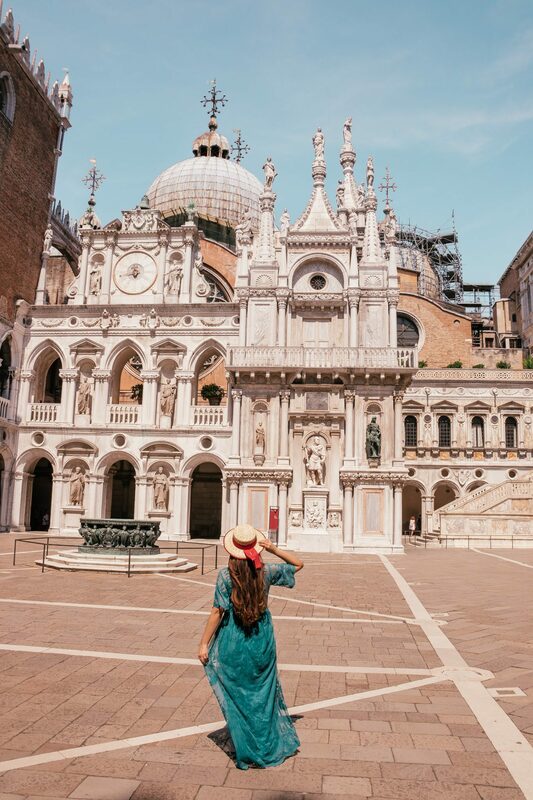 Plan on leaving Venice very early and allow for plenty of time to catch a ferry back from the islands. I am featuring these gorgeous pictures taken by my friend Jen at @jetset_jen. 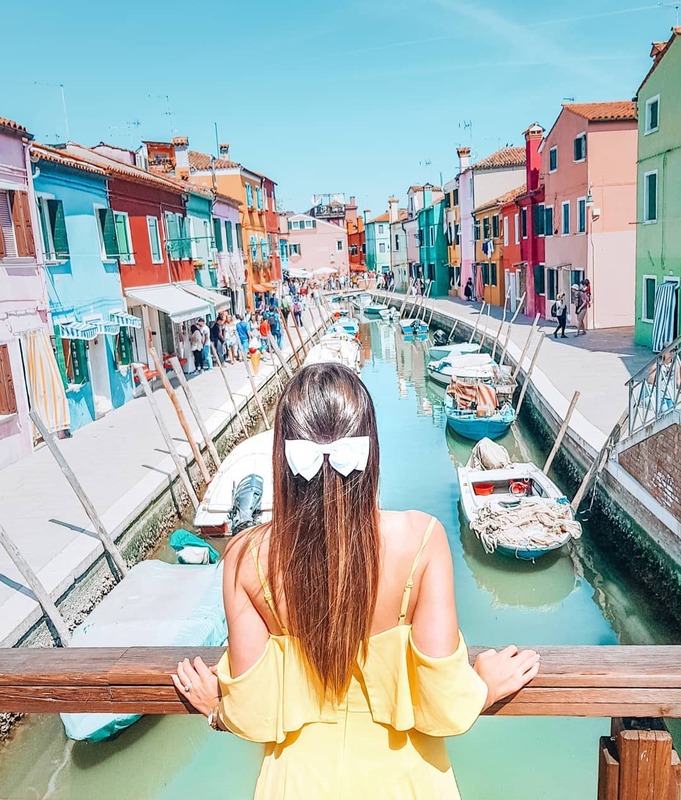 As you can see, Burano is pretty much Instagram goals! 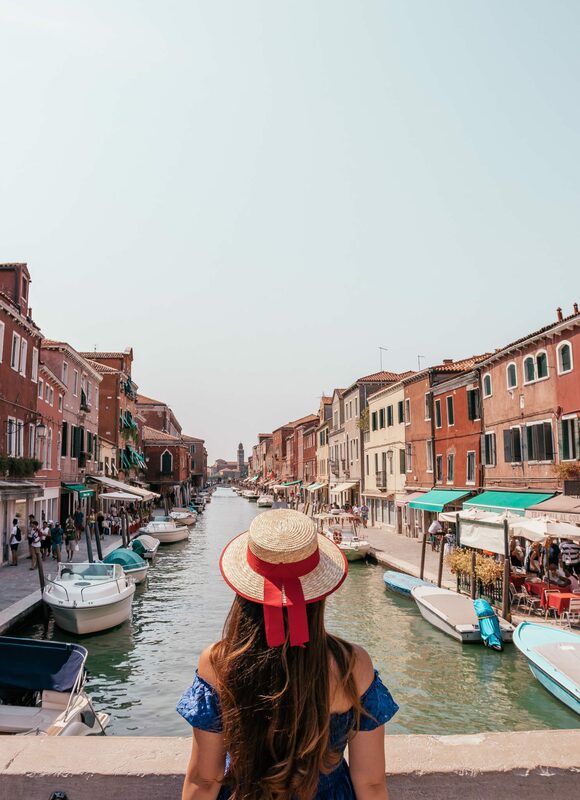 Not quite as Instagrammable as Burano, Murano is still definitely worth a visit. The island is originally known for glass blowing and it is full of quaint art galleries. Make sure you leave Venice early. The islands have become extremely busy in the summer but the ferry schedule remains light. 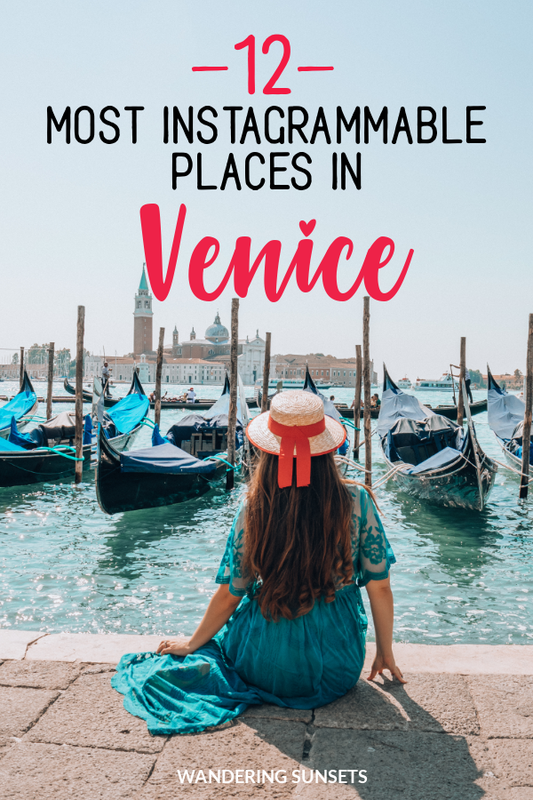 Here’s my list of the most Instagrammable places in Venice ! Can you think of any other? Tell me in the comments! 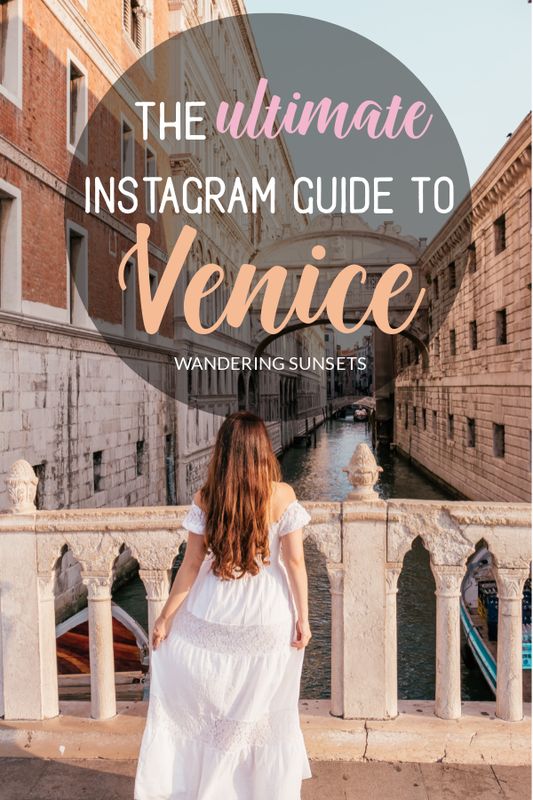 All of Venice is completely instagrammable. Next time I visit I can’t miss Burano!